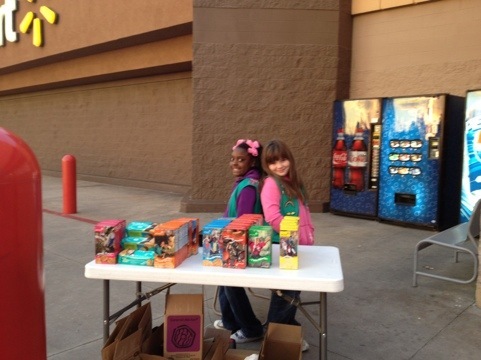 We just spent 4 hours at Walmart selling cookies. We sold a ton of cookies! So much that we nearly sold out of everything that we had. So the cookie mom and I went and got 86 cases of cookies just to get through the weekend (there are 5 more booths this weekend). Madie and I have two booths. I have high hopes for both! Madie wants to sell 300 total for herself. I hope she makes it!